If the instrumentation – clarinet, violin, cello – implies a chamber music orientation, each of the players has his own compositional signature, however, with Dominique Pifarély’s pieces being perhaps the most rigorously “written” here. The balance of composition and improvisation, Sclavis notes, was also readjusted in the course of the recording session, produced by Manfred Eicher, at Studios La Buissone in Pernes-les-Fontaines in the South of France September 2017. Sclavis (born 1953 in Lyon) originally encountered Pifarély (born 1957 in Bègles) in the group of bassist Didier Levallet. “It was immediately a very good feeling to play with Dominique and I invited him to join my group for the recording Chine [IDA records, 1987].” This was promptly followed by the Sclavis/Pifarély Acoustic Quartet album on ECM. “Altogether I must have played in around fifteen different formations and projects with Dominique.” These include Les violences de Rameau, recorded in 1995 and 1996, featuring some flamboyant playing inspired by baroque composer Jean-Philippe Rameau. The first trio performances – “fifteen or sixteen years ago” – found Sclavis, Pifarély and Courtois on the road in Africa and South America. After crossing each other’s paths repeatedly in the following years (Pifarély and Courtois, in and out of Sclavis’s projects, have often played duo concerts, and Sclavis has also guested with Courtois’ groups) all three came together again in 2013 for a project with Japanese pianist Aki Takase, which underlined the special musical understanding these players share. The trio was officially re-launched in March 2015 with a new programme of compositions premiered at the A Vaulx Jazz Festival, near Lyon. Now, in Spring 2017, they undertake a French regional tour with concerts in Bessé sur Braye (March 17), La Ferté-Bernard (March 22), La Flèche (March 28), Saint Saturnin (March 29), La Roche sur Yon (March 30), Flers (April 1), Voiron (April 2), Parigné- L’Evêque (April 4), Saint Berthevin (April 5 and 6), Strasbourg (April 7), Saint Florent le Vieil (April 9), and Poitiers (May 30). International summer festival dates are currently being finalized. Louis Sclavis, Dominique Pifarély and Vincent Courtois have between them a rich, multifaceted discography on ECM. In addition to his recordings as leader, Sclavis can be heard on the recently issued Ida Lupino with Giovanni Guidi, Gianluca Petrella and Gerald Cleaver ; this quartet is also currently touring. 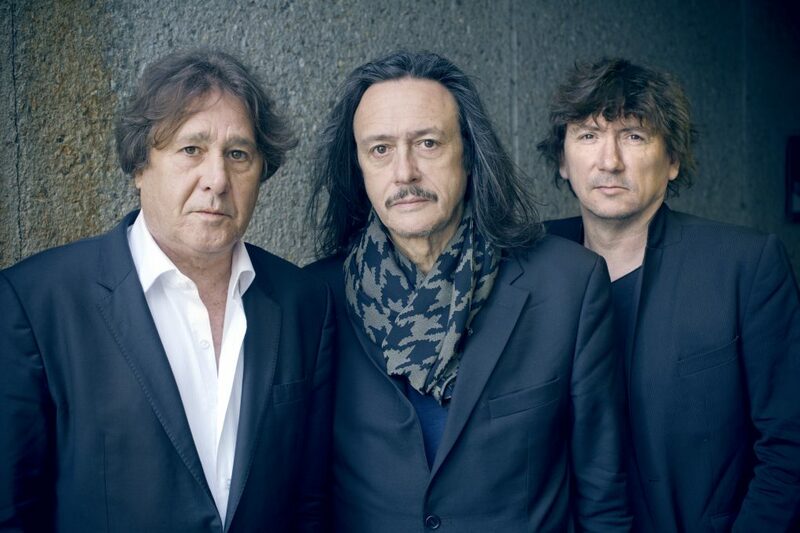 Dominique Pifarély has had two ECM albums released in the last two years, the solo violin recital Time Before And Time After and the quartet album Tracé Provisoire, with pianist Antonin Rayon, bassist Bruno Chevillon and drummer François Merville. He also appears on Poros with François Couturier and recordings with Stefano Battaglia (Raccolto and Re:Pasolini, the latter also featuring Vincent Courtois). Courtois can furthermore be heard onIn Touch with trombonist Yves Robert.